This investment was led by Valar Ventures, a venture capital fund known for other clever investments, including N26, TransferWise and Stash. As part of this latest round, Greyhound Capital is joining as a new investor. The company’s existing ones also participated in this latest round; these include Third Prime Capital, Rosecliff Ventures, Story Ventures, RiverPark Ventures and Afore Capital. It also announced the appointment of two executives to its senior leadership team: Parris Sanz becomes general counsel, and Tom Greco joins as VP of customer operations. Petal plans to offer credit, such as to users who have no credit score or prior experience with credit. 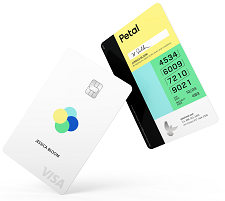 The first product, the Petal Visa card, was launched in October. The firm says its card has no overdraft fee, late fee, international fee, annual fee, or “any other kind of fee”. To date, the company has raised more than $80 million in equity and debt financing from venture capitalists, financial institutions and investment banks.